So, after a VERY tiring sixteen hour journey I finally landed in Dar es Salaam where we were met by Rashid with a big smile, and driven straight to the Work the World House. The house was wonderful - and so big! There is a gorgeous garden/swimming pool area and the rooms are very comfortable. We were shown around the house and introduced to the other students. It was lovely to be made to feel at home straight away - you feel like one big family in the house! One of the first things I remember about the house was being greeted by the Program Manager Alpha, who wasted no time in testing our Swahili language skills. The house cook, Rehema, is just amazing. Don't worry if you're a fussy eater or a vegetarian, there will definitely be something for you. A particular favourite of mine was barbeque night on a Thursday around the pool, excellent for socialising with all your fellow housemates. And, of course, sampling Rehema's amazing cooking! On my first proper day we were taken on an orientation around the local area and taken to our hospitals to show us where to go. All the staff on the wards made me feel so welcome, and seemed quite excited at the prospect of having a foreign student working with them! I spent the first two weeks working on the obstetrics and gynaecology wards at the district hospital. That has to be the most exhilarating experience of my life! 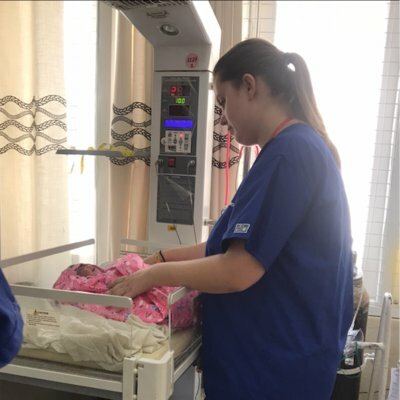 Delivering babies was very fulfilling and lovely to see. However, it's always good to remember when your there that it's not the UK, and things are very different. The attitudes of nurses and doctors over there are very laid back which can be somewhat frustrating when you want to get something done or there is an emergency. Over here in the UK, a massive emphasis is put on maintaining the privacy and dignity of patients, and high standards of infection control - in Africa, it is not. I found this hard to grasp as the importance of it is drummed into me so much during my training here. The best way to cope with it is to go in with an open mind and remember that you won't be able to change the way they have always known. My favourite memory was delivering the baby of a very young mother. After her baby was born, she was hugging me and crying as she was so happy. She was thanking me over and over (in Swahili) and I found that such an amazing experience to have made just a small difference to her life that day. My last week was spent doing the Village Experience. I strongly recommend this to anyone going to Tanzania ... it absolutely made my trip. I felt like I had experienced the 'real' Africa. Living in the village was one of the best experiences I have ever had. Whilst no running water and a drop toilet may not seem very appealing to people, it was quite honestly the best decision I have ever made. 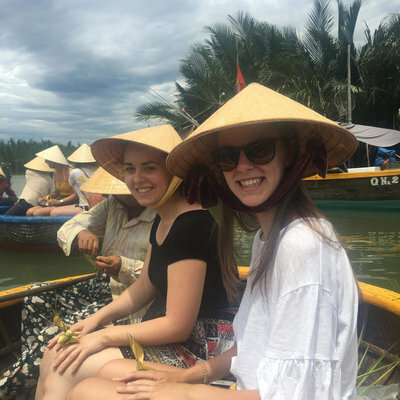 To experience the culture and how the people live was a massive part of wanting to go abroad for my elective, and the village allowed me to do just that. But if you do go, prepare to be chased by lots of children as you walk through the villages! 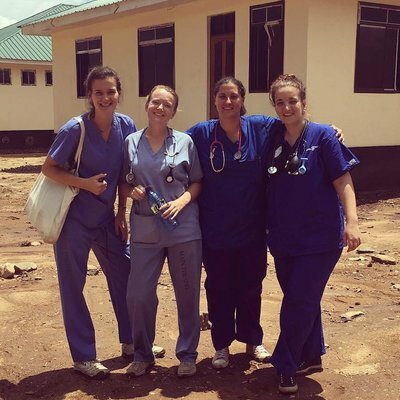 The hospital placement in Kivunge is a great experience too. They have very limited resources, even less than in Dar es Salaam, but everyday there is a huge crowd of people waiting to see the one doctor in their A&E department/GP surgery, which is basically a small room with a desk, chair and bed! I was very sad to leave Tanzania when it came to coming home; I had had the most amazing time of my life and made some great friends. I would highly recommend doing a Safari over the weekend, it was a great experience, and there was a group of ten of us who went which made it great! I would recommend taking sterile gloves with you if you can; they really appreciate these in the hospital, and any other bits and pieces if you can such as dressing packs and syringes. I will never forget my time in Tanzania, it was an absolutely amazing experience and I have memories that I will cherish forever. It made me appreciate just what we have here in the UK in terms of the NHS, and I will never take it for granted again. I made some great friends whilst in Tanzania and all the Work the World staff made it an experience I will never forget!